Gigantosaurus and Argentinosaurus. 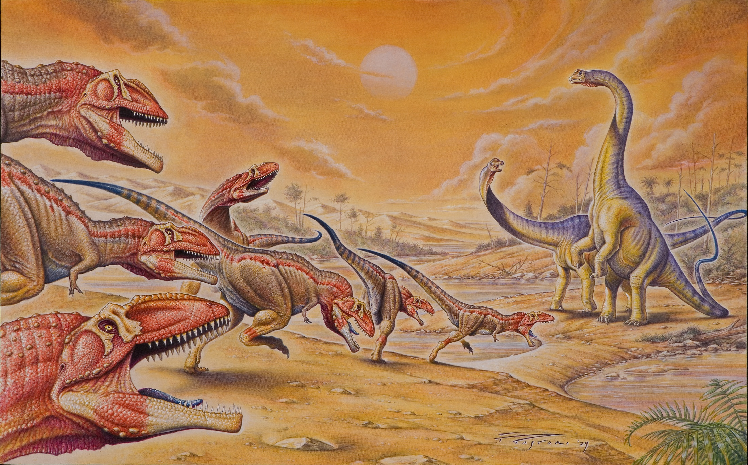 Packs of Gigantosaurus attempt to attack a pair of Argentinosaurus.. Wallpaper and background images in the dinosaurus club tagged: photo dinosaurs gigantosaurus argentinosaurus pack hunting attack. 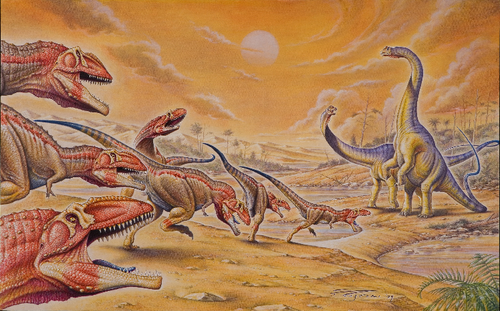 Packs of Gigantosaurus attempt to attack a pair of Argentinosaurus.